You will leave Jaisalmer by jeep, driving for approximately one hour until you reach the dunes, where you’ll meet your guides and camels. Our guides will cook breakfast while you watch the sunrise. After breakfast, you’ll mount up and ride for approximately 90 minutes to the jeep point, and then carry on to Jaisalmer by jeep, visiting the oasis and Khaba Fort en route. Departing at 5am and returning at 11am. INR 1350. You will leave Jaisalmer by jeep, driving for approximately one hour until you reach the dunes, where you’ll meet your guides and camels. Our guides will cook breakfast while you watch the sunrise. 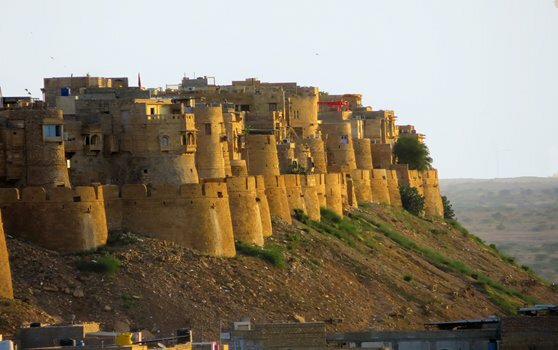 After breakfast, you’ll mount up and ride for approximately 90 minutes to the jeep point, and then carry on to Jaisalmer by jeep, visiting the oasis and Khaba Fort en route.